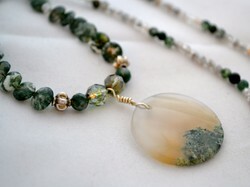 Moss agate is a beautiful semi-precious stone that makes for incredibly beautiful jewelry designs. 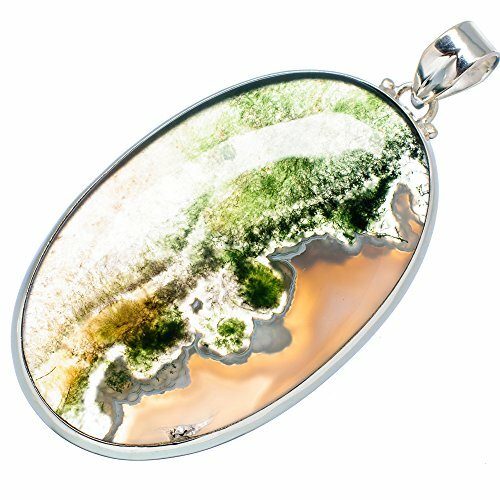 Moss Agate is one of the most beautiful and unique varieties of agate in the world. It is beloved for its organic, "mossy" appearance, which delights lovers of nature and natural wonder; no two pieces of it are exactly alike and each is its own work of art. 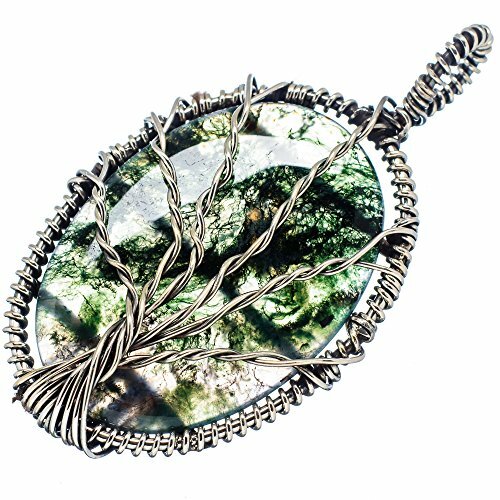 Here you will find a selection of many different pieces of moss agate jewelry for sale. 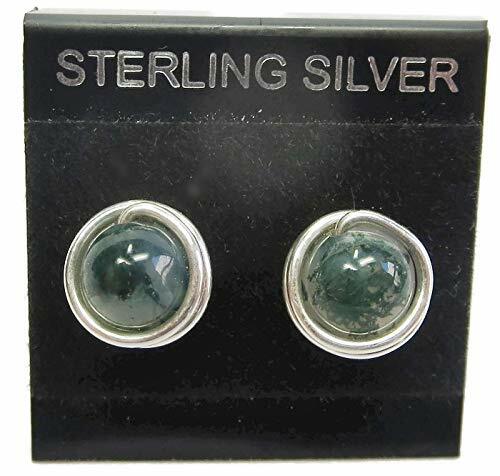 Browse through current eBay auction listings, Amazon jewelry selections, as well as find out where else you can shop for affordable, beautiful moss agate jewelry designs today. You'll also learn more about the properties of this material and the mystical powers associated with it - and see some of my own designs featuring this stone which might give you inspiration for your own beadwork in the future. Moss agate jewelry and gemstone photos on this page are by the author, sockii, unless otherwise provided by Amazon or eBay. 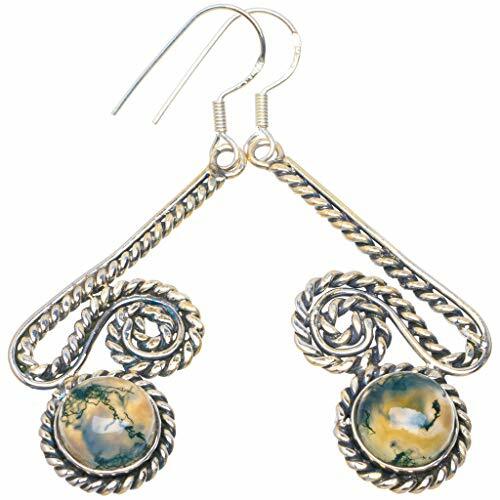 * Moss Agate is a semi-precious stone formed from silicon dioxide. 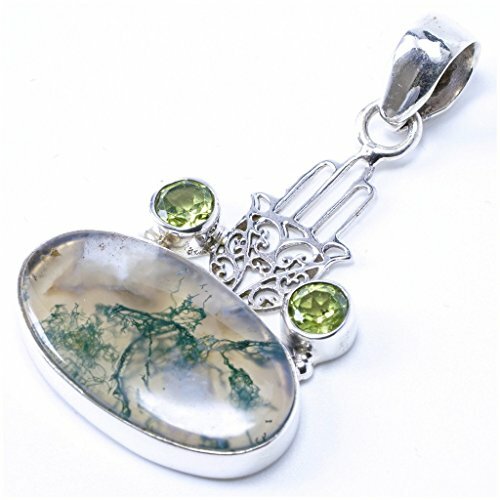 Green minerals included in the silicon give moss agate its characteristic "mossy" look, which some also describe as looking like blue cheese. * Despite its name and appearance, there is no organic or mossy components in this stone - it is purely mineral based. Its colors can range from dark green to rusty orange, opaque and cloudy grey to almost perfectly clear. The different metal impurities are what cause these different colorations. 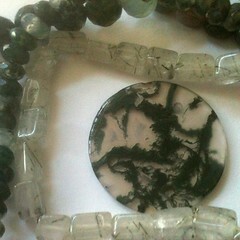 * Moss agate is also actually not an agate because it lacks the characteristic banding seen in that family of materials. It is actually a form of chalcedony, but the agate name has stuck. 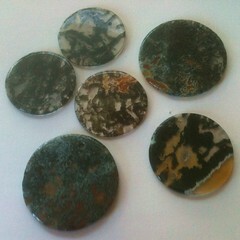 * Moss agate is also known as "Mocha Stone". It is found in different regions of the world but by this map is especially common in North America. 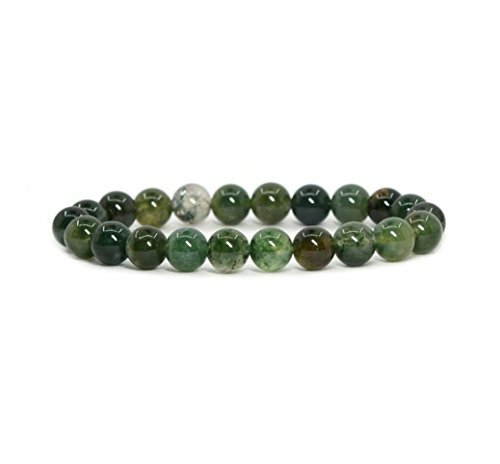 * Spiritually, moss agate is considered the most powerful of all of the agates (even though it technically isn't one), and a stone used by warriors. It is believed to help balance emotional energy, increase endurance and improve concentration. 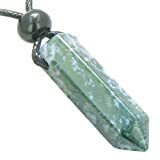 When used in jewelry, it is believed to help bring friends and fortune to the wearer and is connected to the Heart Chakra. It can be used to help bring communication and connection to the "Plant Kingdom" and is considered useful in achieving success in crop agriculture and gardening. 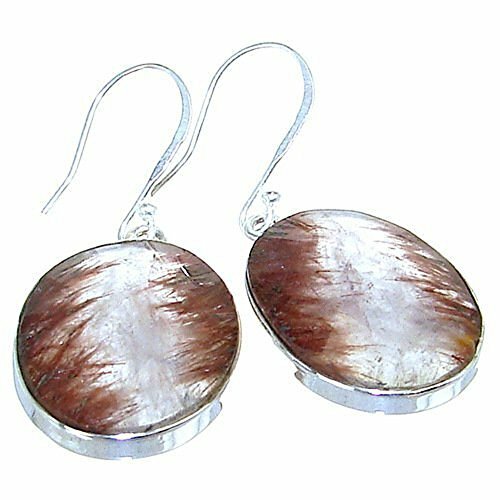 * Other varieties of true agate include eye, tree, fire, snakeskin, blue lace and carnelian. A single pendant is perfect for making a fashion statement, worn on a silver chain or simple leather cord. Or if you create your own jewelry, you can use it as the centerpiece for a beaded necklace design. Moss agate pendants come in all colors and shapes! Where is this mineral found in nature? Check out the Mineralogy Database to find out! Their global map spotlights locations as well as describes the properties of this mineral in detail. Do you believe gemstones and minerals can have metaphysical, spiritual or healing properties? Fact or Fiction: What's your opinion? Yes, I believe and I use stones for such purposes. No, I think that's all a bunch of nonsense! I wear/collect stones because they are pretty. 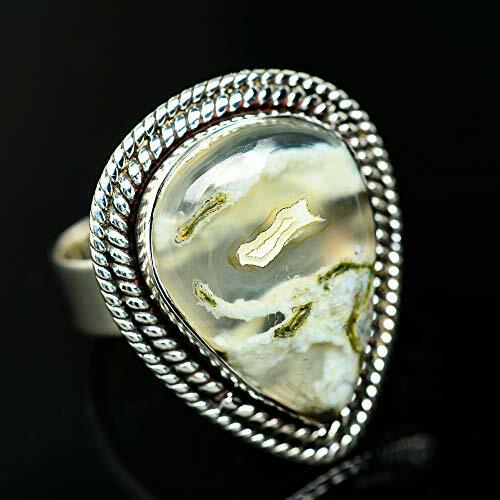 Moss agate is a great stone to feature in rings. The delicate mossy patterning is striking when set in a classic, ornate style. It's also beautiful in more modern, streamlined settings where the spotlight is on the gemstone alone. Here are just a few examples with some of the many rings available on Amazon. 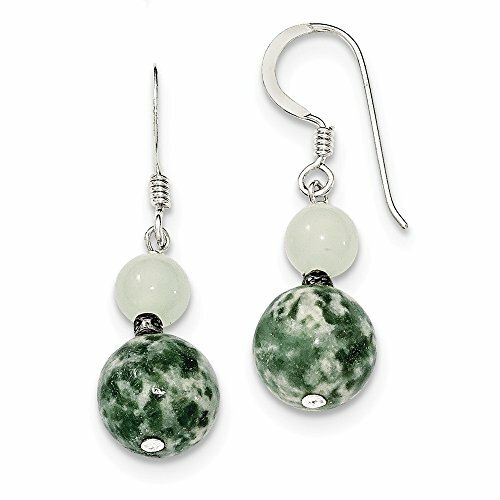 A good pair of moss agate earrings will feature beads or cabochons which are closely matched in color and patterning. That can be a challenge, but the results are well worth it! When shopping for such pieces be sure to examine the stone match closely. Of course you can't expect a perfect match but look for pieces with similar hue, density of inclusions and that are well-matched to their settings. 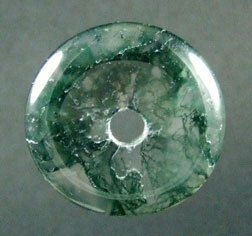 Moss agate is not frequently "faked" in jewelry, but it is sometimes mis-identified or mis-labelled as other stones and materials. 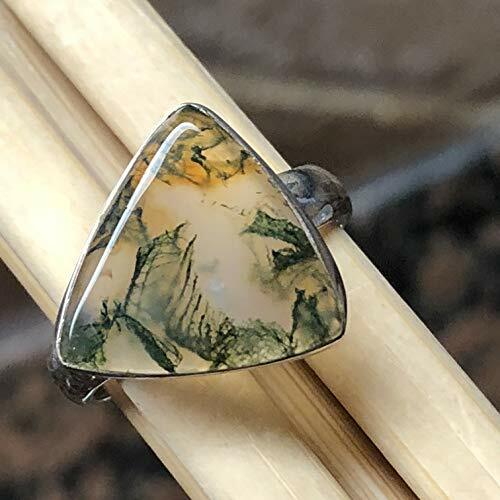 For instance, yellowish-green moss agate is sometimes called "Amberine", and cloudy moss agate without a lot of inclusions might be passed off as a form of jade. 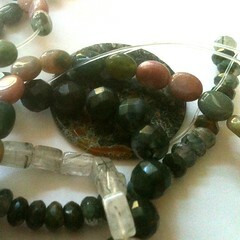 You can find moss agate beads cut in all different shapes and sizes that are great to use when making your own jewelry. If you can't get to a bead store or jewelry show to buy your stones, you can shop for them on Amazon or eBay. Just be sure to examine the listings closely to know how many beads are listed for sale, their size and their quality. 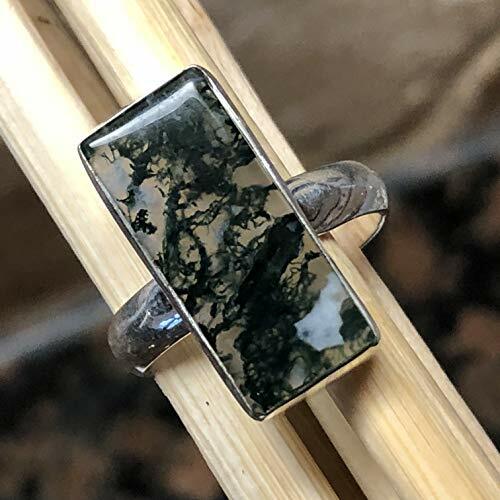 When buying moss agate stones for jewelry making, I typically will buy several stands of the same cut and size at a time because of the natural variation in the stones. 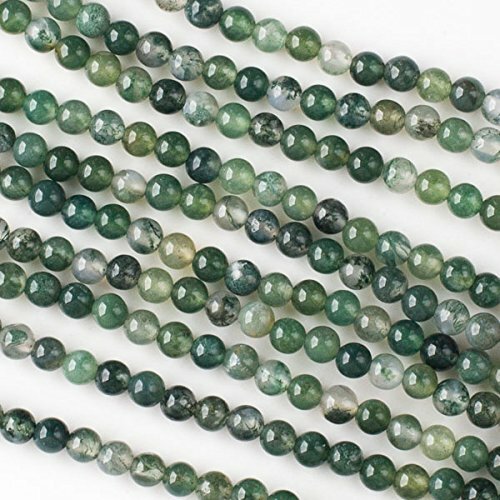 I will sort them after buying into light, dark, cloudy and clear assortments so it is easier to work with, and so I can decide what other materials to combine with the moss agate beads. Moss agate is definitely one of my favorite materials to work with when designing jewelry. Here you'll see some examples of why, and how beautifully it complements other stones and materials. It's natural variability makes it easy to design truly one-of-a-kind pieces and make every piece unique. 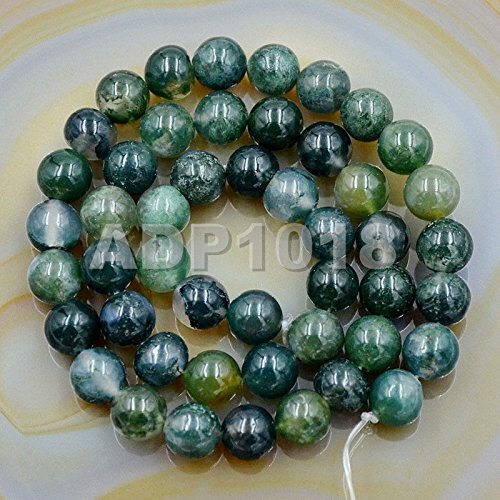 It can also be nice to combine different shapes of moss agate together in one design: round beads mixed with faceted-cut rondels, or square tubes, or flat discs. The possibilities are truly endless! 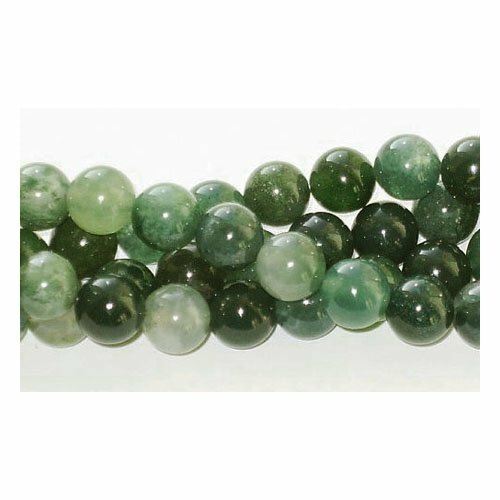 What Stones and Materials Complement Moss Agate? Moss Agate: Moss Agate mineral information and data. A variety of Chalcedony frequently containing green mineral inclusions (eg Chlorite, Hornblende, etc.) or brown to black dendrites of iron or manganese oxides. 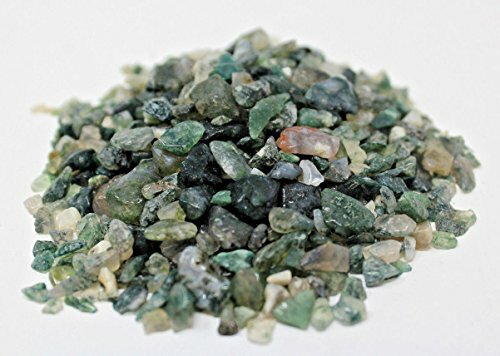 Moss Agate grounds you, corrects left-right brain imbalances and stimulates creativity. 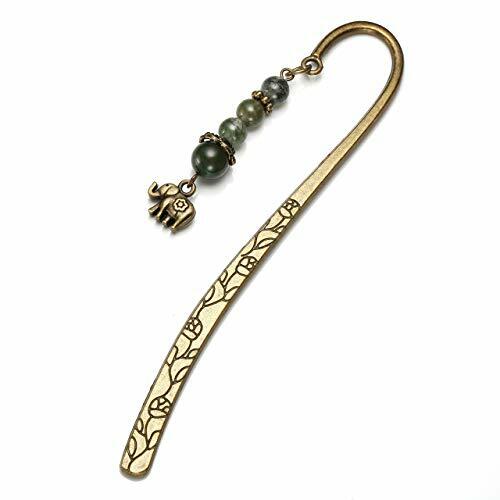 Spiritual metaphysical properties aid abundance and attract nature spirits. Amazon and eBay aren't the only places to find jewelry and beads. 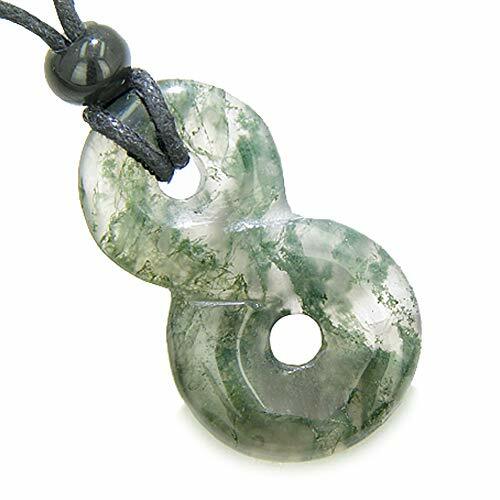 Here are some other places you can find great designs and high-quality moss agate stones. Find hand-crafted jewelry and beading supplies on Etsy. One of the internet's largest suppliers for jewelry makers. Labradorite is a truly unique gemstone which can be used to make stunning pieces of jewelry. Learn more about labradorite and shop for beautiful pieces for your collection.